This helpful reading comprehension activity is a great way to practice plot action order. 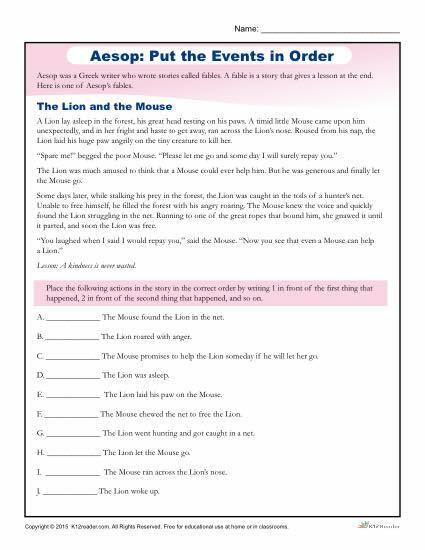 Students will read a passage provided in the worksheet and place the sentences below in the correct order, starting with the first event. This event order worksheet is ideal for grades 1-3.